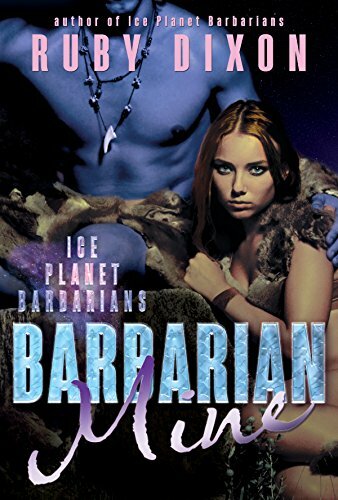 You have reached Barbarian Mine: A SciFi Alien Romance (Ice Planet Barbarians Book 4) in Findsimilar! Our expertise is to show you Kindle Edition items that are similar to the one you've searched. Amongst them you can find Barbarian Lover: A SciFi Alien Romance (Ice Planet Barbarians Book 3), Barbarian's Prize: A SciFi Alien Romance (Ice Planet Barbarians Book 6), Barbarian's Mate: A SciFi Alien Romance (Ice Planet Barbarians Book 7), Ice Planet Holiday: A SciFi Holiday Alien Romance (Ice Planet Barbarians Book 5), Barbarian Alien: A SciFi Alien Romance (Ice Planet Barbarians Book 2), Barbarian's Touch: A SciFi Alien Romance (Ice Planet Barbarians Book 8), Barbarian's Taming: A SciFi Alien Romance (Ice Planet Barbarians Book 9), Barbarian's Heart: A SciFi Alien Romance (Ice Planet Barbarians Book 10), Ice Planet Barbarians: A SciFi Alien Romance, Barbarian's Hope: A SciFi Alien Romance (Ice Planet Barbarians Book 11), all for sale with the cheapest prices in the web.